For the final quarter of 2015, we’ve been rounding out the year with some Cosplayers who embody the term “transformative”. We started with Clive Lee Cosplay’s incredibly life-like mech-suits and other Cosplays. Then we got to meet Alyson Tabbitha, whose attention to detail and makeup skills are so incredible that she actually becomes her Cosplays. Well this month we’re taking a step back and looking at a Cosplayer who internalizes the phrase “transformation” and actually combines Cosplay with Fitness. He might not have the most costumes; but he’s got one of the most impressive fighting spirits I’ve ever seen. So let’s take a moment and get to know Kevin of K.O.FitnessNY Cosplay! Kevin first started Cosplaying back in 2004 while he was still in College. He always loved making things and Halloween was an excellent outlet for this. Though one year after winning a Halloween Contest at his College, his job asked him to attend Wizard World 2004 for them and promote in costume since his recent Neo costume had been such a hit. Remember this was the time before iPhones and digital cameras were common place. After all the positive reception, the fire for Cosplay was officially sparked in Kevin as he started making new costumes. Sadly though, his new love would have to go on hold due to unforeseen medical problems. Back in 2006, Kevin had to undergo major open-heart surgery. As you can imagine, this sidetracked him from Cosplay for a while as afterwards he focused more on work, relationships and of course his recovery. Though beyond anything else, this surgery changed Kevin’s outlook on life and he vowed to stay in the best shape he could – and THAT is where Cosplay reentered his life. After a few years away from Cons, he attended New York Comic Con in 2010 and the Cosplay Fire roared in him again; but this time he’d do things a little differently. From here on out he’d work to combine his Cosplays with his dedication to physical fitness. From Assassins Creed to Dragonball Z, if it has strong characters, Kevin’s up to the challenge. Although it’s not just their physical strength he tries to emulate; but also their strength of heart. It’s from these characters that he finds his strength and that is why he always does his best to portray them body and spirit. Although Kevin doesn’t just cosplay these characters regular; but actually takes the time to cosplay them in battle damaged form. The makeup from the battle damage covers up the scars from his heart surgery, but it also reminds him of the battle he’s been through as well. By combining exercise and Cosplay, Kevin has not only found a new way to express his creativity as an artist; but also a way to help shatter the old stereotype of “nerd”. Though at the end of the day, Kevin’s favorite part of Cosplay is all the friends he’s made over the years. He’s gone from 2 Cosplay friends in 2012 to well over 100 now. I’m lucky enough to be in that group as I first met Kevin back in 2013 at the Official Costume Contest for NYCC – a contest he’s been asked to participate in every year since. So what’s next for this payroll manager by day, fitness trainer by night? Personally, I’d love for him to pull off a Super Saiyan 3 or 4; but Kevin says he’d need a lot of help with the wigs. Although Kevin is actually hoping to grow past the anime theme he’s usually held in favor of trying out some Marvel and DC heroes. Though he’ll always love the Dragonball Z characters he’s been over the years, and he’s even working on some new props to make those costumes even better. Before we finish, I asked Kevin if he had any cosplay fitness tips for us. After all, the Holiday Season is upon us and I know this panda is going to put on at least 10 lbs from all the food. So whether it’s the Holiday Season or age creeping up on you, Kevin recommends at least 30 minutes of moderate exercise (or at least being active) a day while trying to keep a balanced diet. 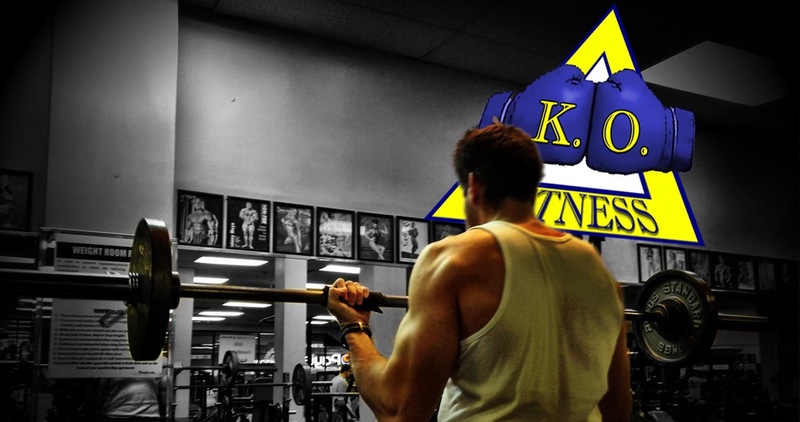 And if you are looking to get in even better shape, then be sure to check K.O.FitnessNY out on Facebook! Ask for workout tips! See what costumes he’s got lined up next! Or just say hey to a real life Super Saiyan! He has such a great outlook about his fitness and embracing geek-dom together. That hair is awesome!